2. 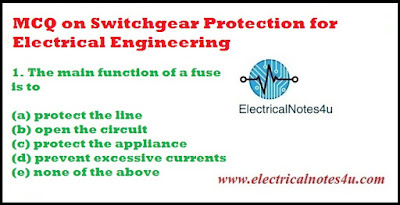 With which of the following, a circuit breaker must be equipped for remote operation? 5. Overload relays are of…… type. 8. 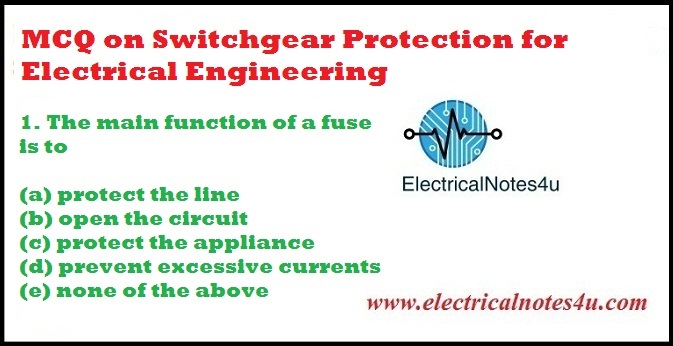 The voltage appearing across the contacts after opening of the circuit breaker is called______voltage. 12. The ground wire should not be smaller than No ______ copper. 13. In Railway applications ______ circuit breaker is used. 16. The line insulation is the insulation level of the station equipment. 20. A _______ is used to measure the stator winding temperature of the generator. 22. Which of the following circuit breakers has high reliability and minimum maintenance? 27. By which of the following methods major portion of the heat generated in a H.R.C. fuse is dissipated?